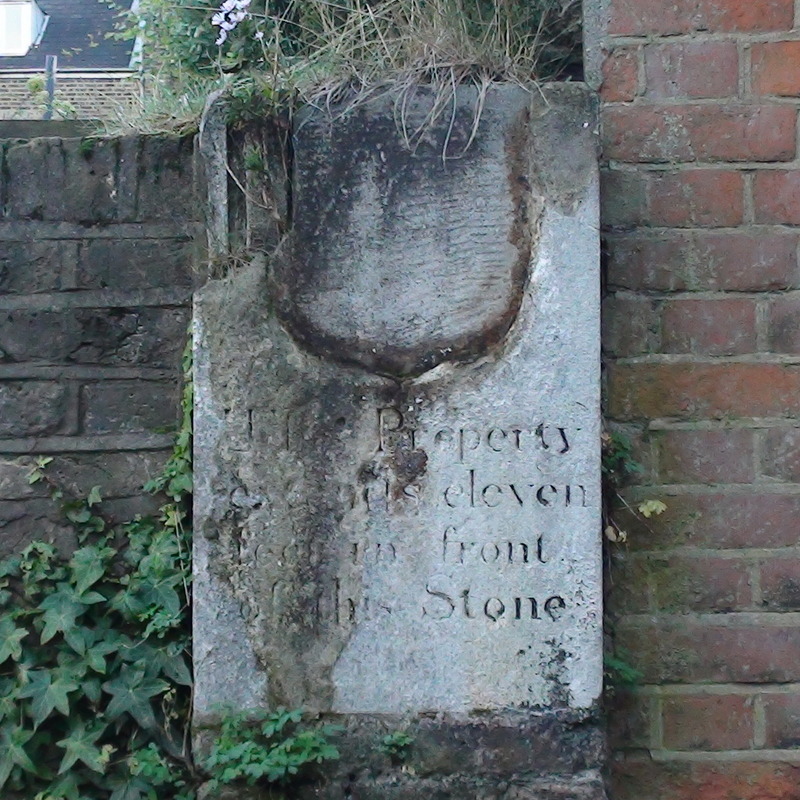 This property extends eleven feet in front of this stone. Wonder if that shape at the top of the stone (filled in with cement, we think) used to hold an identifying shield? OK, it's not a memorial and we can't find any information about it, but we are so proud of having spotted it - we are keeping it in. 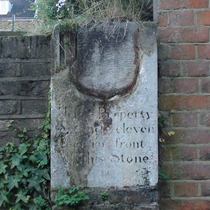 Similar in function to Elger's boundary marker, but with no names or dates to assist. The local manor house, Highbury House, used to be on the site of Eton House, Leigh Road, to the south-west. This marker may have been on the boundary of those grounds, but we don't have access to historical maps of the area so we are guessing.